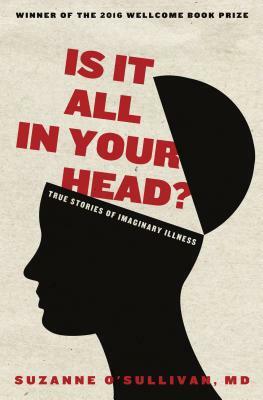 Winner of the 2016 Wellcome Book Prize, a neurologist's insightful and compassionate look into the misunderstood world of psychosomatic disorders, told through individual case histories. It's happened to all of us: our cheeks flush red when we say the wrong thing, or our hearts skip a beat when a certain someone walks by. But few of us realize how much more dramatic and extreme our bodies' reactions to emotions can be. Many people who see their doctor have medically unexplained symptoms, and in the vast majority of these cases, a psychosomatic cause is suspected. And yet, the diagnosis of a psychosomatic disorder can make a patient feel dismissed as a hypochondriac, a faker, or just plain crazy. connection between mind and body. Dr. Suzanne O'Sullivan is the author of Is It All in Your Head? (Other Press), which won the 2016 Wellcome Book Prize. She has been a consultant in neurology since 2004, working first at the Royal London Hospital and currently as a consultant in clinical neurophysiology and neurology at the National Hospital for Neurology and Neurosurgery, as well as for a specialist unit based at the Epilepsy Society. She has developed expertise in working with patients with psychogenic disorders, alongside her work with those suffering from physical diseases, such as epilepsy.